from a single electrode pair. Figure 6 shows the HSV as a function of angle. It increases rapidly as a function of angle until the bifurcation occurs, then decreases slightly. For very small 0, the HSV reaches an effective minimum. This limiting behavior can be understood in two complementary ways: In terms of the lead field vector computed via scalp current injection, for nearby electrodes most of the current is shunted through the scalp and little passes into the head volume. In terms of dipolar source currents, the brain potential is blurred by the skull such that nearby scalp electrodes sense nearly identical potentials. For conventional 19-electrode systems, for which nearby pairs are separated by 30 degrees, we find an optimal spatial resolution (minimum HSV) of 22-37 cm3. For modern 129-electrode systems, for which nearby pairs are separated by more like 10 degrees, we find an optimal spatial resolution of 6-8 cm3. Two other sensitivity measures are maximum sensitivity and depth of sensitivity, shown in Fig.7. The maximum sensitivity (Fig. 7a) rises abruptly from near zero at small 0 and approaches an asymptote. The maximum sensitivity is found at 180 degrees, and is 350-750 Q/m depending on skull conductivity. The depth of sensitivity (Fig. 7b) varies similarly as a function of 0, with the exception of an abrupt minimum below 10 degrees. Like the small bumps visible in Figs. 6 and 7, the exact nature of this minimum appears to be artifactual, depending upon how the electrodes sit in relation to the Cartesian grid used to compute these quantities. 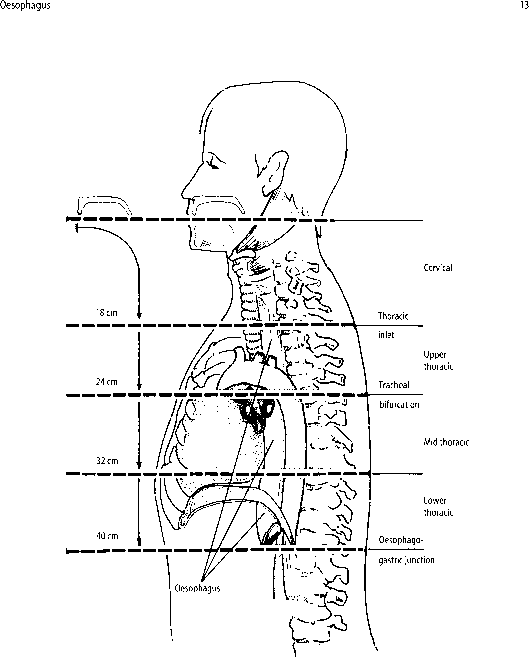 The maximum depth is found at 180 degrees, and is 2.6-3.7 cm for this range of choices of skull conductivity. Because of the folds of the cortical sheet, it is difficult to estimate the number of neurons detected by a particular electrode pair, without basing the analysis on a subject-specific structural MRI. In general, for nearby electrodes the HSV is confined almost entirely to the cortical sheet. Assuming the sheet is 0.25 cm thick and densely folded, these volume estimates above can be translated into effective cortical surface area estimates. Dividing the minimum HSV by the cortical thickness gives 88-148 cm2 at 30 degrees, and 24-32 cm2 at 10 degrees. Each 1 cm2 of cortex is populated by approximately 107 pyramidal neurons (see Sect.2). This implies that on the order of 109 neurons reside inside the HSV at 30 degree electrode separation, and on the order of 108 at 10 degree electrode separation. These estimates are inflated, however, because some of the HSV includes noncortical tissue, and because cortical geometry excludes many neurons from detection when the local cortical surface is not parallel to the lead field. Nevertheless, these HSV measure provide a useful and intuitive metric of the spatial resolution of scalp EEG. As seen in Sects. 6 and 7, the reference electrode is an unavoidable fact in EEG recordings. Apart from attempts at optimal placement, several data processing methods exist for reducing or eliminating its influence. These include the average reference, the surface Laplacian, and inverse techniques which solve for brain dipole sources. The first two are specific to EEG, and avoid the ill-posed inverse problem. They make no explicit assumptions about the distribution of brain dipole sources, do not require head volume conductor models, and are computationally efficient. The average referenced scalp potential approximates the scalp potential referenced to infinity, and the surface Laplacian estimates the dura surface potential making the reasonable assumption of low skull conductivity. This section develops these ideas as simple and effective ways of handling the reference electrode issue in scalp EEG. Inverse methods based upon volume conductor models are discussed in the chapter by R. Leahy, and are applicable to both EEG and MEG. The simplest attempt at eliminating the effect of the reference is to place it advantageously, i.e., away from active brain sources. Common choices include the earlobes, the nose, and the mastoids. The earlobes and nose are interesting, in light of the fact that electric potential tends to vary rapidly near pointed objects (Jackson 1975). The mastoids ensure secure attachment, which is most crucial for the reference electrode, but are clearly sensitive to brain activity in inferior posterior brain areas. Each of these are legitimate choices, although perhaps not effective in reaching their goal. Another approach, which should be avoided, is the linked-ears or linked-mastoids reference, in which electrodes are placed on both ears or mastoids, then physically linked before connecting to the reference input of the amplifier. EEG amplifiers are designed with high input impedances, specifically so they will not permit significant current flow across the scalp-electrode boundary. This reference choice violates that basic design principle, and leads to major problems. First, the linking introduces an highly conducting pathway between the two ears. This forces the ears to have similar potentials, which would not otherwise be the case for any singular choice of reference. In the limit of low scalp-electrode impedances, which is always the goal of electrode attachment, the potentials at the two reference sites are identical. Second, the impedances of the two reference electrodes are unlikely to be identical, so this choice is unlikely to be symmetrical as intended. Third, by violating the assumption of zero normal current flow though the scalp, the data are not suitable for analysis by the many commercial and open-source software packages. Fourth, because the basic physics of the problem has been altered, it is not possible simply to re-reference the data to other single electrodes. The average reference is a simple way of estimating the potential at the reference electrode relative to infinity (Nunez 1981). At each time point, this quantity is used to compute the potentials at each measurement electrode relative to infinity (Bertrand et al. 1985). Because the genuine average reference can not be determined precisely, the operational average reference (based on limited sampling) has received valid criticism (Tomberg et al. 1990; Desmedt and Tomberg 1990) in favor of explicit references (Gencer et al. 1996; Geselowitz 1998), the surface Laplacian (Hjorth 1975; Nunez 1981), or more complicated methods (Lehmann et al. 1986; Yao 2001; Orekhova et al. 2002). Still it remains a useful technique for data analysis and visualization. Because the sum over the Ui vanishes like the surface integral of $, the Ui are taken to estimate the $i, with $ref = $N ~ UN = —V. This estimate is biased by not including contributions from the inferior head surface: the polar average reference effect (Junghofer et al. 1999).